FIGURE 1 ■ Patient position for laparoscopic simple nephrectomy. 4 or 5 mmHg at this stage. A sudden increase in pressure during initial insufflation signals incorrect trocar placement. In this situation, insufflation is stopped and the reason for the problem identified. After insufflation of 1 to 1.5 L of gas, flow can be increased to a high rate (approximately 6L/min) and intraabdominal pressure maintained at 12 to 15 mmHg. Rapid initial insufflation occasionally results in a severe bradycardia. For right nephrectomy, two other main ports are inserted under laparoscopic control: a 5- to 12-mm port inferior to the costal margin and a 5-mm port at the level of the umbilicus, both in the anterior axillary line and roughly equidistant from the camera port; so the three ports form an isosceles triangle. For left nephrectomy, the 5- and 12-mm ports are reversed in position so that the larger port is always on the surgeon's right. This is to permit passage of 10-mm clip appliers and linear cutting/stapling devices. A fourth 5- to 12-mm port, if required for retraction, may be inserted in a lateral position, in line with the camera port near the tip of the 12th rib (Fig. 3). The trocars are secured using silk sutures through the skin. FIGURE 2 ■ Surface anatomy. 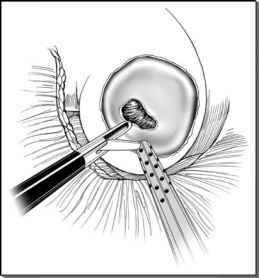 FIGURE3 ■ Transperitoneal laparoscopic nephrectomy trocar placement.